Brinell is a line of hardness testing instruments that has been produced by Newage Testing Instruments for more than half a decade. The company has amassed a lot of experience in the field, which is part of the reason why their products are popular among clients who want nothing but the best from their hardness testing products. 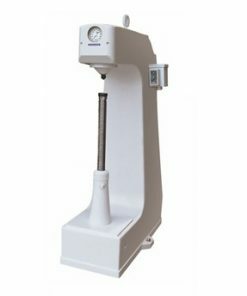 In addition to hardness testers, Newage Testing Instruments also manufactures other products such as durometers. All their products meet ASTM and ISO standards. Buying Brinnell products from Willrich Precision basically guarantees you that you will end up getting good value for money. Quality is assured with every purchase, as all items in our inventory are of the highest possible quality. Shopping, processing and shipping has also been significantly simplified. You can easily find what you need in the inventory, and we can ship your orders within a quick turnaround. In case you ever need technical or other information, our customer service staff will be more than happy to serve you.